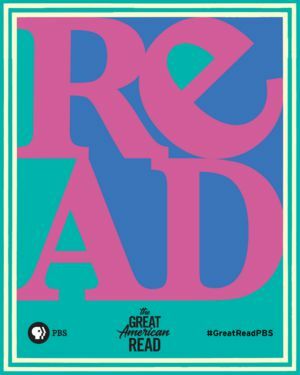 I love PBS and they have a long history of providing great book adaptations. I love that I get to experience books that I probably wouldn't pick up otherwise. In some cases, the book doesn't appeal to me because of the time period or writing style, and in other cases, it is because the series has way too many books in the series that it would take me forever to catch up. 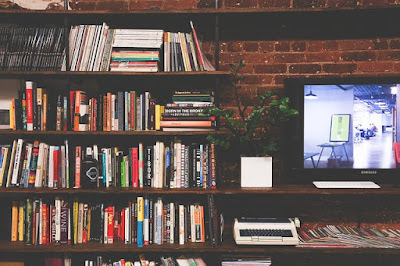 I would love to know what bookish shows (or movies) you are watching or looking forward to. This show has been mentioned several times here and on our Facebook pages. I love learning about books, even books that I will never pick up. But what I'm really liking about this show is the mix of literary commentary, historical references, and personal impact. Did you know that Jane Eyre was the first book written in first person point of view? It airs on Tuesdays at 8/7c or you can catch the episodes on their website or you can watch it on Facebook. I highly recommend checking out their website as there is a lot of goodies like crossword puzzles, posters, interviews, and more. 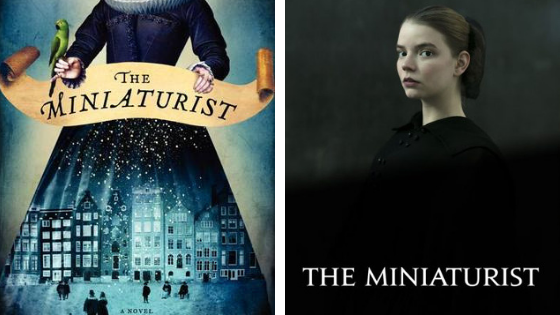 Based on the Jessie Burton's historical novel, The Miniaturist is a 3 part mini-series on PBS. It wrapped up this past Sunday. If you have a PBS Passport subscription, you can watch the first episode, the last two episodes are still free to stream on the PBS website. I was drawn to the cover of the book, but I do not like reading magical realism nor do I typically enjoy stories set in the 1600s. So I kept passing on it. I was curious when I saw that Masterpiece was airing the mini-series. I have liked most of the book adaptions that they have aired so I decided to give it a chance. I really liked the mini-series. I almost want to read the book as I'm sure the story is even richer, but I don't think I can handle the magical realism elements. Continuing with the remake of Anne of Green Gables, this third installment sees Anne heading to Queens College and Matthew's death. If you missed it this past Sunday, you can still stream it. While the adaption with Megan Follows will always be my favorite, I like the cast and this latest adaption. (I haven't seen the one Netflix produced). What I like about this one is that Anne still seems like a child. I think Megan Follows was older when she played the character, but by the time she went off to Queens College, it felt like she was more 18 than 14. I didn't feel that Matthew's death was as traumatic as I remember from the Megan Follows adaption. I always cried in that scene, but I didn't feel at all teary. 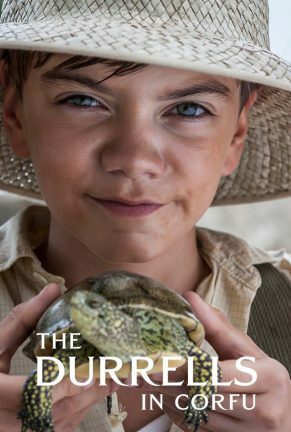 This show, starting its third season this Sunday (Sept. 30) on PBS, is based on Gerald Durrell's book My Family and Other Animals and the 2 sequels. When I watched the first season I wasn't too sure about it, but I had so few shows at the time that I watched the entire season. I was shocked when I saw it had been renewed for a second season. I enjoyed last season much more than the first and I'm actually looking forward to season 3. This is the show I'm most excited about its return. I never thought I would enjoy a period show set in the 1700s, but I love it. 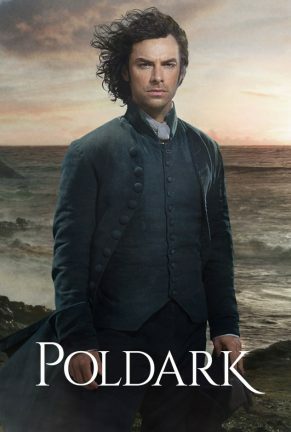 Just gazing at Aiden Turner who plays the title character makes my week a little better. All the characters are great and though I haven't read the series, I think it is really well done. If you have missed the previous 3 seasons, it is set on the 12 book series by Winston Graham. Season 4 kicks off this Sunday (Sept. 30) but if you are an Amazon Prime member you can catch up on the first 3 seasons for free. Check out Kathleen's thoughts on the first season. Enjoy the show while you can as season 5 has been confirmed at the final season. If you are in the UK, Norway, Sweden, Finland, Bulgaria, Hungary, or Denmark, then you are already enjoying (I hope) this much-anticipated television series. North American audiences are going to have to wait until 2019 to see this series that is based on Deborah Harkness's All Souls' Trilogy. I had hoped that PBS would pick up the series for the United States, but instead, it will air on Sundance Now/Shudder/Sundance TV. If you aren't familiar they are subscription-based streaming apps. I will probably watch it when the DVD comes out as I don't care to purchase those services. The nice thing about it playing in the UK first is that there is a good chance that the DVDs will be available by the time it airs in the U.S. (that is how it happened with Downtown Abbey). Are you watching any of these? 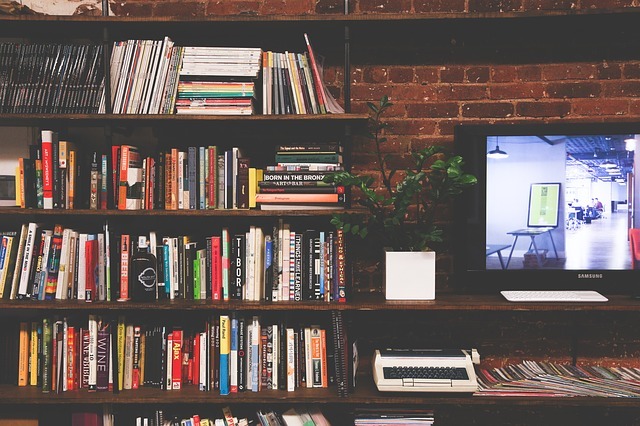 What other bookish television are you enjoying this fall? Wow - there are always so many shows and movies coming out that are based off books! Too many to keep up with!! Definitely. 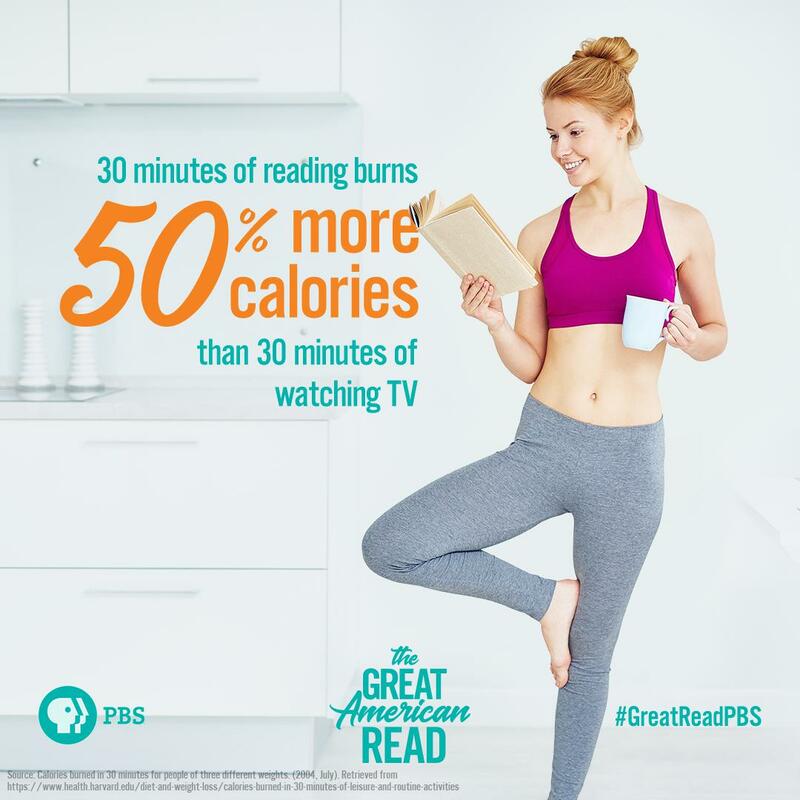 I don't pay for cable, Netflix, or Hulu and they all have a lot of bookish shows. Oooh! 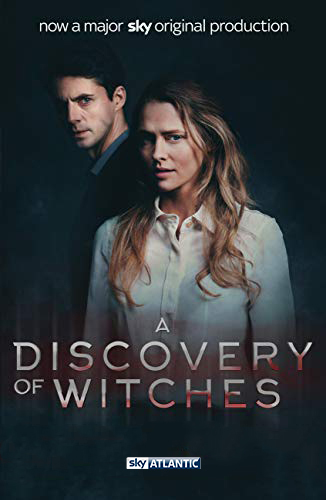 I need to hurry up and read A Discovery of Witches! Yes, you do. It is a wonderful series. There's a new book out too about one of the secondary characters.